Made of stainless steel material, strong and durable, not easy to be deformed. Ideal for apartment, villa, house, dorms, etc. A good closet helper. Used for clothes, towel, scarf, trousers, slacks, ties, shirts, blouses, sweat pants, etc. Soft non-slip foam keeps clothes on hanger & eliminates creases. Clothes stay compact, organized and wrinkle-free due to this efficient hanger. 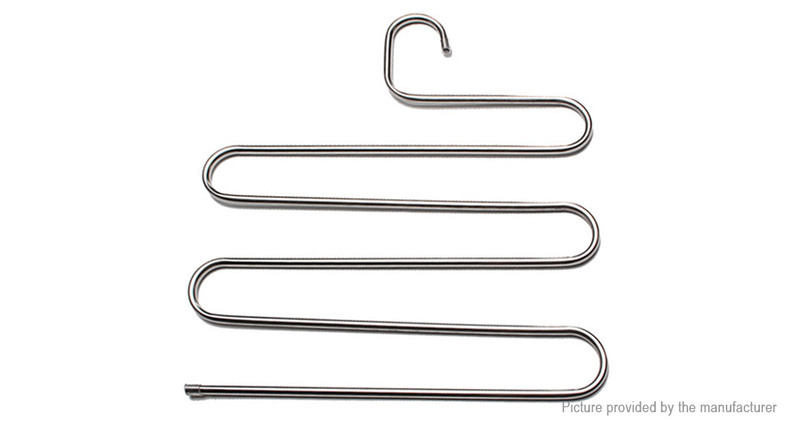 With 5 bars, leaves more space in your closet, one hanger equals 5 hangers.